NanoSkin Pro | Shelley Hancock Equipment & Consulting. The NanoSkin Nanocurrent delivers a gentle but direct bio-identical electrical current into the tissue at different frequencies. This current actually communicates with skin cells to enhance the production of collagen and elastin, eliminating free-radicals, and boosting ATP levels. 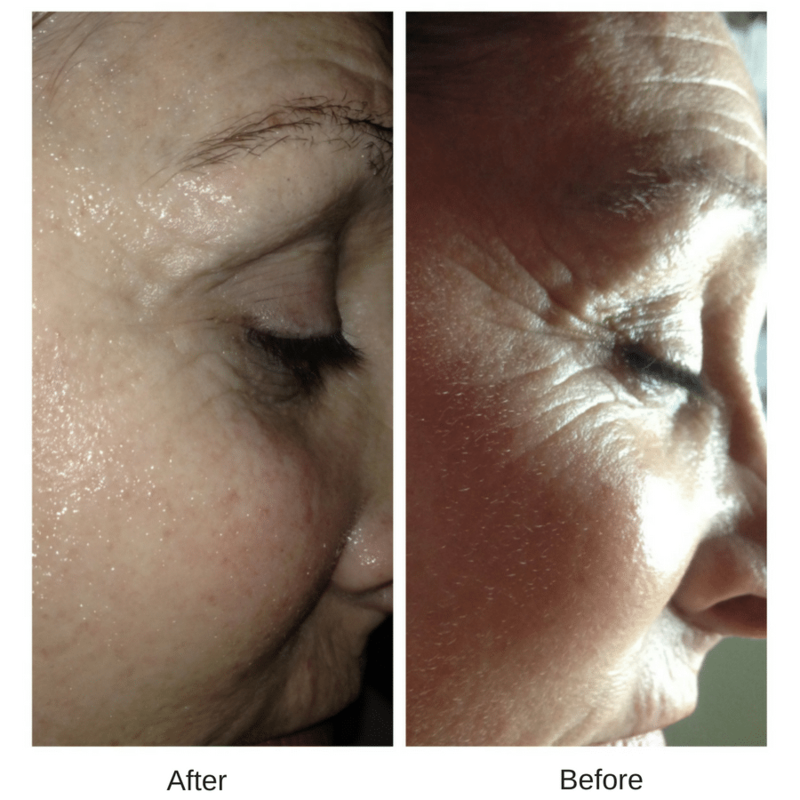 The results…tighter, firmer, brighter skin with improved texture. FREE 2 oz Renewal Gel with purchase. 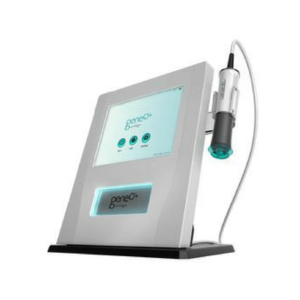 Electroporation uses short modulated pulses of high voltage to create transient aqueous pores in the skin. This application of an electrical pulse momentarily disrupts the cell membrane, allowing the entry of product. When the pulse ceases, the membrane returns to its original structure, leaving product that has been penetrated into the interior of the cell in place! The effect of the electroporation lasts for a few seconds, therefore allowing the introduction of product. 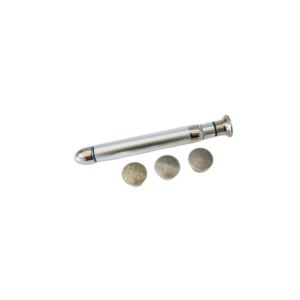 This dramatically increases skin permeability. 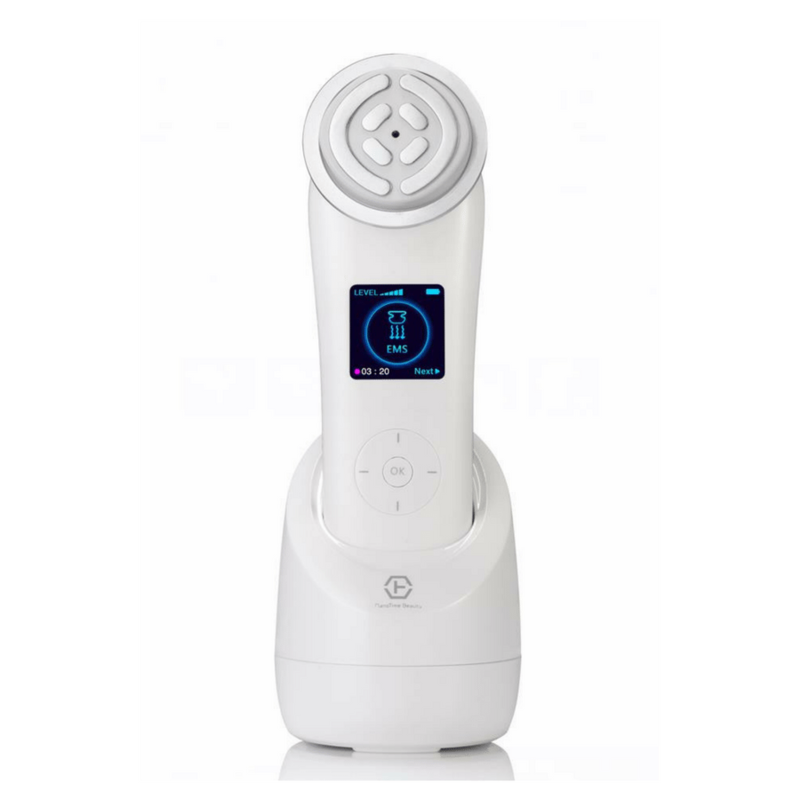 In simple language…electroporation is opening a door that allows us to insert products deeper into the skin. Electroporation is the most effective non-evasive, needle free technology available to safely transfer skin care products into the skin. EMS or Nanocurrent or Microcurrent aids in reducing the signs of aging by utilizing a low level of electricity known as microcurrent. These tiny microcurrent impulses trigger chemical reactions at a cellular level to enhance the production of natural collagen and elastin, provide circulatory benefits and work directly on the nerves and muscle fibers. The result is visible firming and smoothing of the skin. Your body seems to use the Microcurrent energy to increase its own energy production. Microcurrent increases the production of ATP, your own chemical energy, by up to 500%. To quote D. Tsoklis, an expert on the subject, “Microcurrent is the reproduction of your own biological current. As we age, this current, which sends messages from the brain to the muscles via the spinal cord, does not send those messages properly.” The Microcurrent treatment restores those messages from the brain to tell the skin to rejuvenate. It helps tone facial muscles by replicating our own biological currents. That is why this treatment is such a safe alternative to some of the invasive and risky treatments on the market today. Simply put…its thermal energy! Since RF energy produces an electrical current instead of a light source, tissue damage can be minimized, and epidermal melanin is not damaged either. With this knowledge, RF energies can be used for clients of all skin types – that is, it is color blind, allowing for ultimate collagen contraction and production of new collagen. In addition to stimulating new collagen, the radiofrequency treatment also causes some contraction of the skin, thus tightening it. 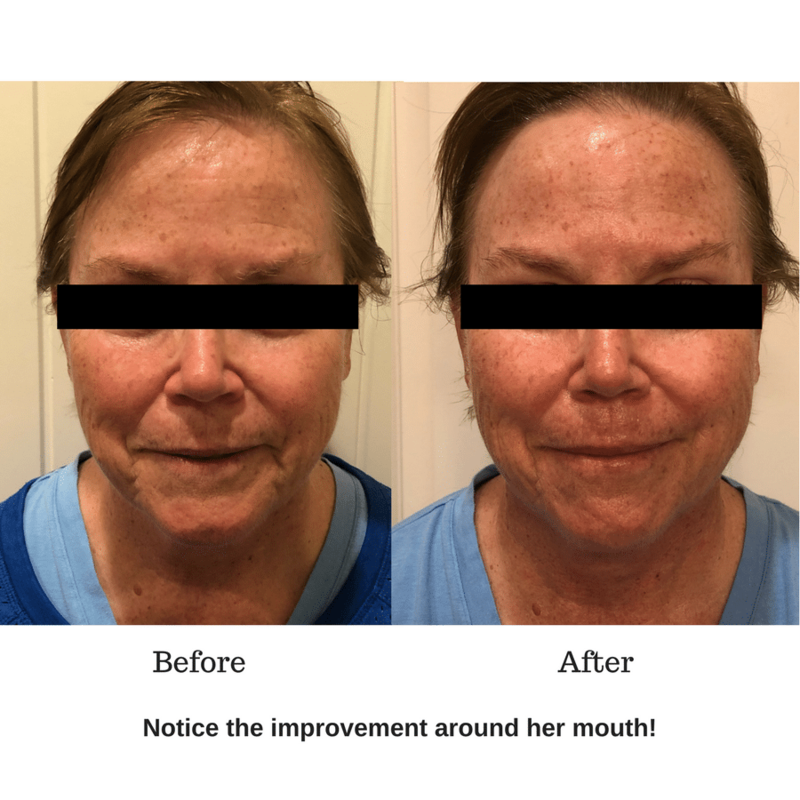 Although you’ll notice the treatment’s tightening effects immediately, the more significant improvement will occur gradually over a period of several weeks or months as the new collagen forms. Cooling closes and tightens pores locking in moisture and nutrients. Use after extractions, acids peels and waxing for calming. I started selling equipment with these modalities (microcurrent, electroporation, radio frequency) about 5 years ago. I fell in love with using the modalities together. I went through three models over the years before finding the NanoSkin in November 2017. I had so many electrical issues with all three other models. It drove me crazy because everyone that purchased them loved them and the results that they were getting but it seemed like I was spending so much time and money sending out replacements. This new model was found by a couple that own 4 Spas. They found it in Japan on a business trip. They were so impressed that they worked out a contract with the manufacturer to be the United States distributors. They brought an initial inventory back with them but found that they were too busy with their 4 spas to really have the time to promote it, so they contacted me. I sold over 100 of them the first 3 months I started selling and have had no issues!! It is the most well-made hand held piece of equipment I’ve ever offered. It comes with a one year warranty. Like I’ve already stated, this couple has retained the sole distributorship of the NanoSkin in the United States and I am their only sales force right now. There is also a distributor in Malaysia. If you see it for sale on the internet from someone other than me….it could very well be a knock off. This happens with every single piece of equipment I’ve sold over the years!